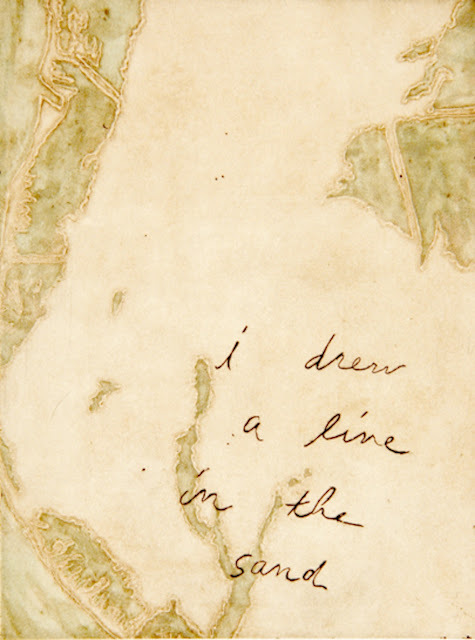 I Drew A Line in the Sand, 2013, intaglio, collagrah, chine collé, Image Courtesy of the Artist. Nicole Geary is a printmaker and sculptor whose work explores her response and connection to the environment that surrounds her. While deeply rooted in the scientific process, Geary imbues her work with complex layers of rational inquiry and emotional reflection. Read on to learn more about Geary's work and influences. Picton Fossil, 2015, mono print with shelf installation, Image Courtesy of the Artist. What are some of the influences on your work and artistic practice? I think the largest driver of my work is probably the world of geology. 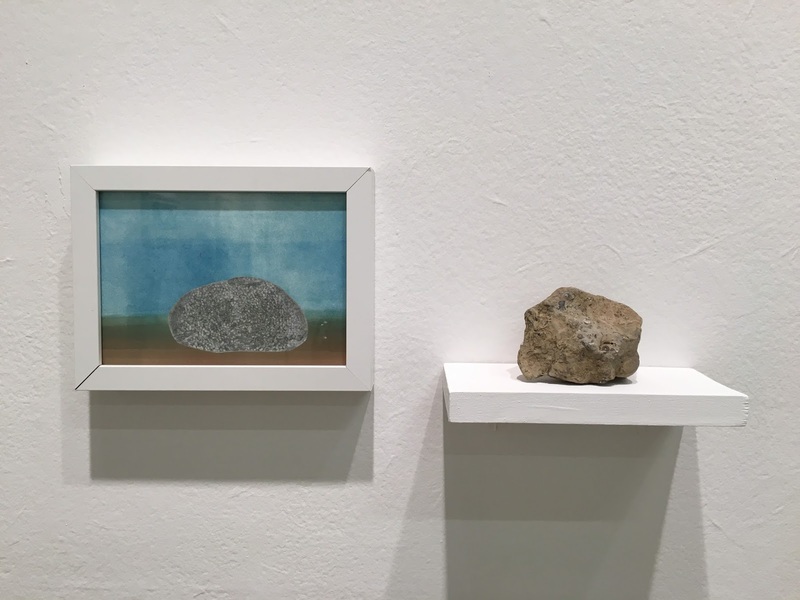 Underneath all the rock stories and collections are a confluence of things including the concept of landscape, which varies from traditional Romantic notions to contemporary reinterpretations of that. Scars, bruises, and other bodily records of events tell me a lot about a personal history (mine or someone else's that they want to share) and I see them as a kind of map to a place lived. I use these influences to correlate to our relationship with land and the earth's history, which is why I'm so enamored of stratigraphy and being able to "read the rocks." I can look at a bruise and remember what happened there, so a natural pattern emerged in my work. I also love to think about the idea of heterotopias, which is really what geologists do all the time. They imagine a place that they can never physically travel to, and can picture worlds that used to exist and recreate them in their mind, with graphs and measurements, all by picking up rocks and seeing what they tell them. These ideas excite me and I like the feeling that art does this as well. What drives you as an artist? What are you passionate about that you're able to express through your art? I like to overlap geological theories like uniformitarinism and apply them to our own memories to talk about fascinating ways that the earth is as much a living being as we are, and that our relationship to it should be explored. Ultimately, I want my work to help people understand science better, and to comprehend feelings and emotions about what it means to live in an age of global concerns, such as catastrophic climate change or the need to confront our use of fossil fuels. 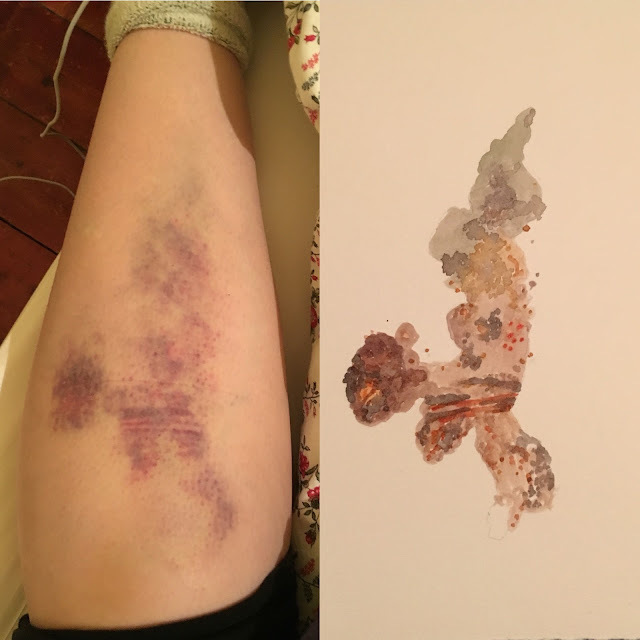 Drawing inspired by the bruising from a fall the artist took in Scotland, while walking on Arthur's Seat in Edinburgh. Image Courtesy of the Artist. Where you do find inspiration? I will have to answer this in two different ways, because the nature of inspiration comes to me in various ways. I will find myself surprised at the amazing patterns in a simple rock and be humbled at the beauty to be found in a square foot patch of dirt. These are truly "inspirational" in the sense of looking and being with the world. It's the first thing I learned in drawing class and the most resiliant lesson I think of again and again: to just look and to observe. But to be completely honest, inspiration must also come from being present in the studio, putting in work and meeting the goals that I set. It feels good to complete a piece that I have felt pent up inside myself. Which artists do you admire most, and why? One of my favorite working arstis is Julie Mehretu, whose large scale drawings take on forms that at once seem analytical but have such built-up and beautiful layers that I love to think about the process and the human hand involved. Kiki Smith is one of the artists I admire most for her use of space and imagery in printmaking, and Ellen Gallagher for the way she incorporates text into image and reinterprets and examines race and the function of language. I've always been fascinated by the work of Mark Dion and his installations that question the authoritative voice of the museum. I'm (maybe obviously) influenced by the earthworks artists of the 1970s and include Goldsworthy and Smithson as some of my favorites to think about when I imagine new ways of working outside of the gallery space. I've been following Swoon for awhile now and one thing I admire about her practice is she consistently gives back to every community she works in, enabling people and artists where she goes. I feel I'd be remiss not to name several other artists that were early influences of mine including Nicola Lopez, Vija Celmins, Richard Long, Joseph Kosuth, Barbara Kruger, and Eva Hesse. Discovering Time, 2015, mono print, sun print, chine collé, Image Courtesy of the Artist. Tell me about your current projects. I'm currently working on developing my sculptural work into a more full-fledged part of my artistic practice through a grant from the Artist Foundation of San Antonio. I am learning to incorporate ceramics into my work as part of this grant, which makes sense to me as the clay body is literally a geological form. I've worked in sculpture in the past, but not to the extent by which this grant will help me make new and larger forms. I'm also working on the research for a new kind of multi-stage project that I'm very excited about, which I developed more during my time at Hospitalfield residency. This will eventually become an interactive drawing and printmaking project whereby I invite people to tell me stories that I then "translate" into visuals. I think it is a very unique opportunity to work with an audience and engage the viewer within my practice, and it is exciting to think about the ways that this might develop. I am taking awhile to put together the pieces so that it looks and feels right. 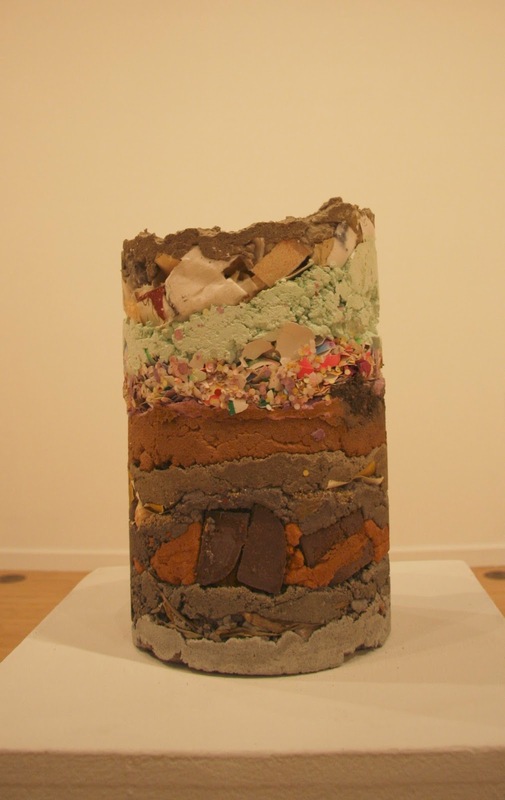 Core Sample: Texas, 2013, plaster, cement, dirt, rocks, mixed media, Image Courtesy of the Artist. Nicole Geary is the featured artist at Provenance Gallery in June. Please join us on June 11th for the opening reception. You can learn more about Geary's work, process, and inspiration at www.nicolegeary.com, or by following her on instagram @nicolegearystudios and on facebook.